All students will use their Wildcat ID to access emails and log into their class in Blackboard Learn. Students not currently enrolled at Chico State will be sent their Wildcat ID in their class registration confirmation email, which should be kept for future reference. Blackboard Learn is the Chico State Learning Management System. Online classes are delivered using Blackboard Learn and all students can access textbook information and course materials in Blackboard Learn on May 29. Early review of coursework is highly recommended. Faculty may submit grades anytime after the class ends and no later than August 23 and grades can be viewed in the Portal. Housing for both graduate and undergraduate Summer Session students is available in university residence halls. Housing availability and rates are to be determined, visit their website. The library will be open during summer and the hours will be posted online. As a Summer Session student, you are entitled to full privileges of the library. An ID card that gives you circulation privileges may be obtained at the Wildcat ID Card Office in the Meriam Library, room 142. Summer Session students can use the Student Health Center services for a nominal per-visit fee. For additional information, and for their summer hours, please visit the Student Health Center at Warner Street and West Legion Avenue, visit their website, or call 530.898.5241. Summer Session students are invited to take advantage of Chico State’s Wildcat Recreation Center (WREC). 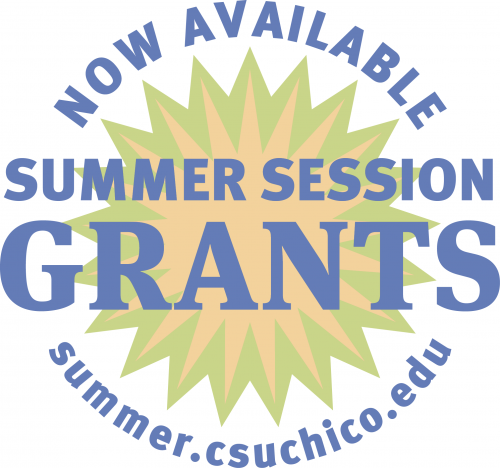 Continuing Chico State students have access to the WREC all summer at no additional charge as part of the Student Union Fee paid in spring. Students enrolled in Summer Session only can join the WREC at special Summer Session membership rates. For more information, call 530.898.4444. Download our complete Summer Session Study Tips Guide.